Hotel customer feedback - Don't let your feedback go unanswered. In this case, the guilty party seems to be the hotel Industry. Even though there is a buffet of online hotel customer feedback via TripAdvisor and Yelp – it seems that managers do not care. 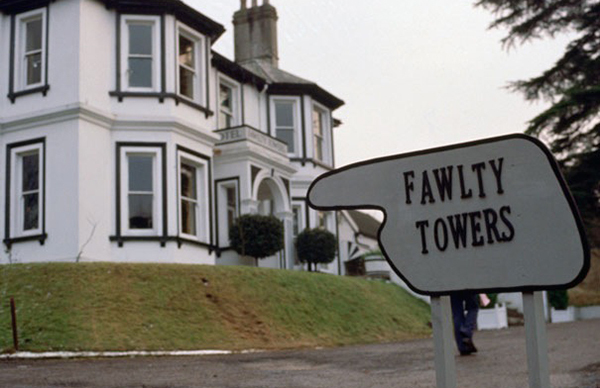 Maybe it is like an episode of Fawlty Towers? So why, in an age where everything is done online and the majority of consumers rely on travel and hotel reviews before booking a trip, do hoteliers still miss the opportunity of responding to online reviews? This is the great question posed in Hospitality.net. Specifically, it appears that just 36% of all hotels respond to negative online feedback!! In fact, just 17% respond to those that review their experience on Expedia. However, it is not clear why the hotels act this way. Perhaps resources, systems, misunderstanding or latency. There is ample proof from a variety of studies that it is in a hotel’s best interest for them to respond to the online reviews. In fact, a swift response often boosts a hotel’s rank or rating, or booking inquiries. If done well it can even justify an increase in room rates. 76% of travelers surveyed were willing to pay more for a hotel with higher review scores. Properties that respond to more than half of their reviews increase their likelihood of receiving a booking inquiry by 24%, compared to properties that do not respond. If pricing is equal, travelers are 3.9 times more likely to choose a hotel with higher ratings. Boston University study found that 27% of responding hotels increased their rating by at least half a star within six months of their first management response. A 2014 TripAdvisor study noted a connection between the rates of management responses with the average review rating a hotel receives. Properties responding to over 65% of the reviews they received saw an average review rating of 4.15. Feedback from hotel guests, whether good or bad, is the key to a successful hotel, but it is not happening. The cause is not clear but the potential to improve is huge. The full Hospitality Net article is here.